The red and green club penguin scarf is in the ski lodge. It took longer than expected to come but it came. 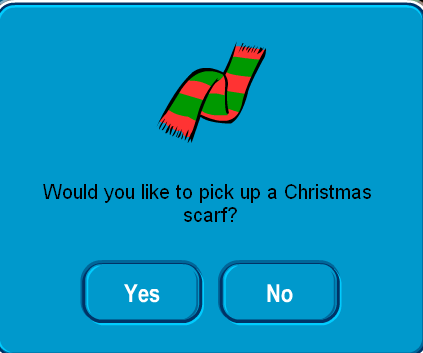 I think club penguin needs to be creative and make new things instead of bringing back old things.